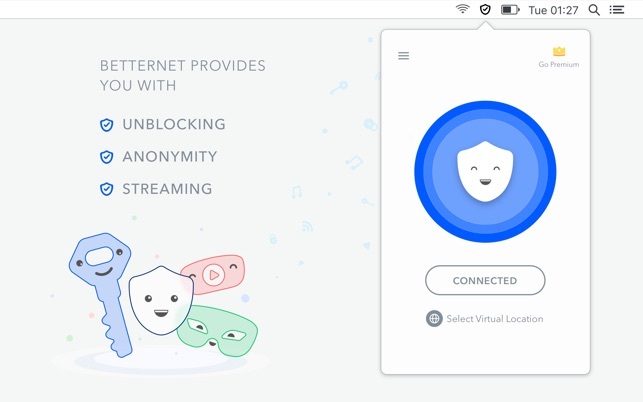 Get Betternet Unlimited Free VPN Proxy to access apps and websites from your Mac using the fastest VPN Servers, while stay safe and protected because your data will be encrypted and your online activities will remain completely anonymous. If you have any questions or suggestions, feel free and send them to: support@betternet.co or visit our website https://www.betternet.co for more information. 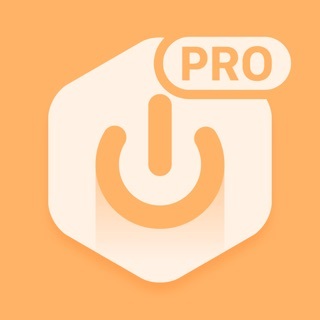 This is a great VPN service! I did not pay a dime for this product, but still had a pretty decent time using it. The UI is amazing with 1 click and it automatically connects in about 3-5 seconds. 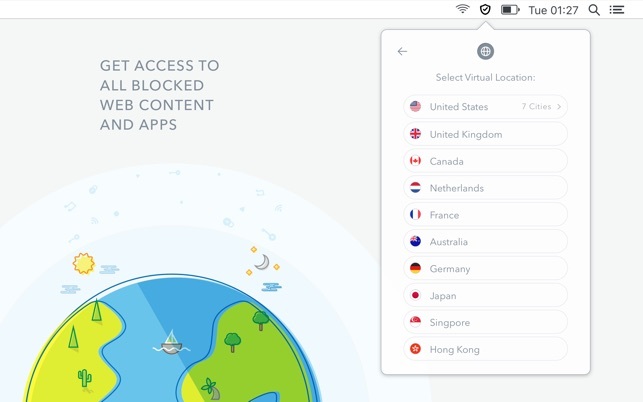 Unlimited VPN is awesome and I could use it for hours! However, this rating is missing a star. Sometimes, the app is buggy and will not connect so I would have to turn off my WIFI then turn it back on for it to work. It also slows down my internet speed (but its VPN). But why am I complaining? Its a free service, and a pretty good one so what can I expect :D? Great job Betternet, and I trust that you’ll keep the promise of Betternet being forever free! I don’t understand whinning reviews on this app. Yes it’s confusing to see how to cancel the premium subscription after the free trial but that’s on Apple not Betternet, and come on a 2-second search on Google gives you a step-by-step. Regarding the app itself now: the premium version is stellar with high reliability, speed and simplicity. Of course, the free option is not as good but still far better than any of the other many solutions have tried so far. For what you can reasonnably ask a free VPN, Betternet delivers and I’d say go a few miles more. 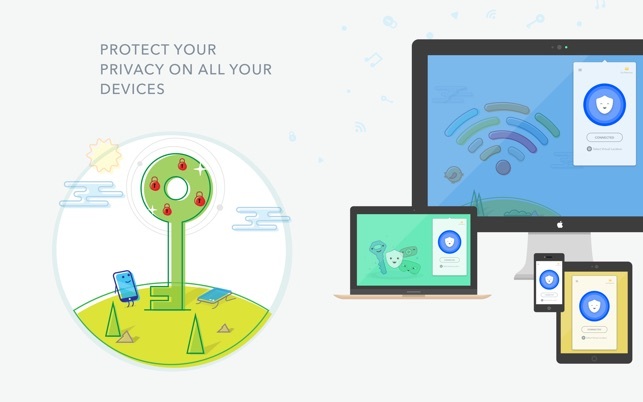 I’ve been using betternet vpn for probably around 2 years now, and very regularly for about 1 year. Lately it seems like their userbase has increased so much that the speeds I’m able to get are much slower than before. There are also usual times every day where the connection speed throttles to about 100 kb/s. This past week I haven’t been able to go a full 24 hours without having to reconnect multiple times to the vpn, and it constantly disrupts my browsing. It seems to me like the providers can’t handle such a growth of people using their service, and struggle to provide the hardware/power needed to sustain such a userbase.